Facebook is testing a new feature for its popular ‘Messenger’ platform. The feature, confirmed by BuzzFeed News today, allows you to connect with others from within the app without actually adding them to your friend list on Facebook itself. 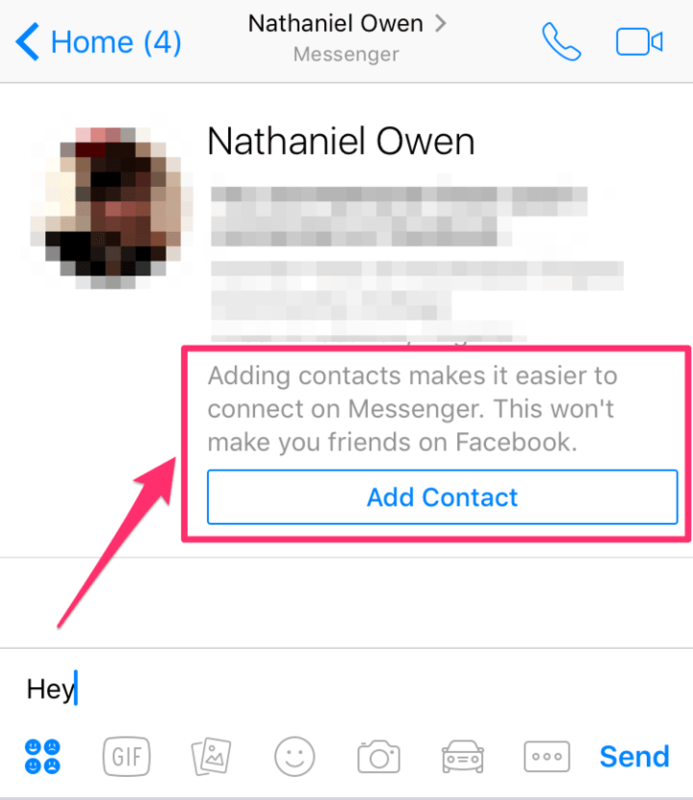 In essence, the feature allows Messenger users to connect with each other on the app, as if they were already friends, but without actually adding them as friends on Facebook proper. Facebook already allows this, although in a modified format. When non-friends message, you’re met with a message request that allows you to read and accept or ignore any future correspondence. If you don’t accept, future messages will go to the space formerly occupied by your “other” inbox. If accepted, the messages will filter through to your standard inbox. The new feature would basically allow for the same thing, but through the use of contacts. Once you add a contact, they can message you freely without the need to formally connect. It’s like connecting… but not.